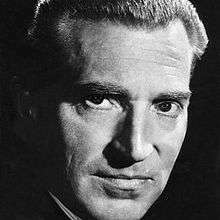 John Horace Freeman, MBE (19 February 1915 – 20 December 2014) was a British politician, diplomat and broadcaster. He was the Labour Member of Parliament (MP) for Watford from 1945 to 1955. Freeman was born in a house in the Regent's Park neighbourhood of London on 19 February 1915, the son of a barrister. The family later moved to Brondesbury. He joined the Labour Party whilst a student at Westminster School in the early 1930s, and later obtained his degree at Brasenose College. He worked for a time at the advertising firm Ashley Courtenay. During World War II, Freeman saw active service in the Middle East, North Africa, Italy and North West Europe. He enlisted in the Coldstream Guards and was commissioned in the Rifle Brigade in 1940. He served in the Desert Rats. Bernard Montgomery called him "my best brigade major". He was appointed MBE in 1943. After his return to Britain, he was selected as Labour candidate for Watford and was elected as a Member of Parliament in the 1945 election. In September 1947, he was appointed Vice-President of the Army Council, the supreme administering body of the British Army. Originally Freeman was on the Bevanite left-wing of the Party although also supported by Hugh Dalton who liked to go 'talent-spotting' among young MPs. He rose quickly through the ministerial ranks, but resigned along with Aneurin Bevan and Harold Wilson in 1951 over National Health Service charges. He stood down as an MP at the 1955 general election. Freeman became a presenter of Panorama and was editor of the New Statesman from 1961 to 1965. He also presented the television interview programme, Face to Face. He blasted Richard Nixon in the pages of the New Statesman as "a discredited and outmoded purveyor of the irrational and inactive" whose 1964 defeat would be a "victory for decency." In the event Nixon did not run for President in 1964, but instead supported Barry Goldwater, who easily lost. While Harold Wilson was Prime Minister, Freeman was appointed the High Commissioner to India (1965–1968) and Ambassador to the United States (1969–1971). During his time in Washington he became fast friends with Nixon and Henry Kissinger, and a staunch fan of the Washington Redskins. Freeman was appointed to the Privy Council in 1966. He was part of the Labour Party. Freeman became Chairman of London Weekend Television Ltd in 1971, serving until his retirement in 1984. During this period, he wrote an article in 1981 which criticised what he saw as the heavy-handed, interventionist broadcasting policy of the British government expressed in the ethos of the Independent Broadcasting Authority and expressed views that would soon come to be closely associated with Margaret Thatcher and the deregulatory, laissez-faire new school of Conservative Party politics. He was director of several other companies in this period and President of ITN (1976–1981). From 1985 to 1990, he was Visiting Professor of International Relations at the University of California, Davis. Freeman was elected an honorary fellow of Brasenose College, Oxford, in 1968. In later life Freeman commentated on bowls for Granada Television. He retired to Barnes, London, removing himself to a military care home in south London in 2012. When Morgan Morgan-Giles died on 4 May 2013, Freeman became the oldest surviving former MP. He was the last survivor of those elected to Parliament in 1945. Following the death of Tony Benn on 14 March 2014, he was also the last surviving member of the 1950 parliament. Freeman died on 20 December 2014, aged 99, less than two months before his 100th birthday. 1 2 3 "Journalist John Freeman dies at 99". BBC News. 20 December 2014. Retrieved 20 December 2014. 1 2 3 Purcell, Hugh (7 March 2013). "John Freeman: Face to face with an enigma". New Statesman. Retrieved 21 December 2014. ↑ The London Gazette: no. 38093. p. 4753. 10 October 1947. Retrieved 21 December 2014.